My Domestic Monastery: Happy Octave of Easter! I hope you had a wonderful, blessed Triduum! Ours was pretty good!! I noticed some fantastic posts around the web this year, with some great suggestions for celebrating the Triduum. But do you know what? We actually keep it pretty simple. I love Auntie Leila's take on celebrating the liturgical year. In her book, she makes it clear that you don't have to do a lot to celebrate the year with the Church...you can just live it. I love that! So, in our family, we mainly just live it. We also mix in some traditions from my Polish background. 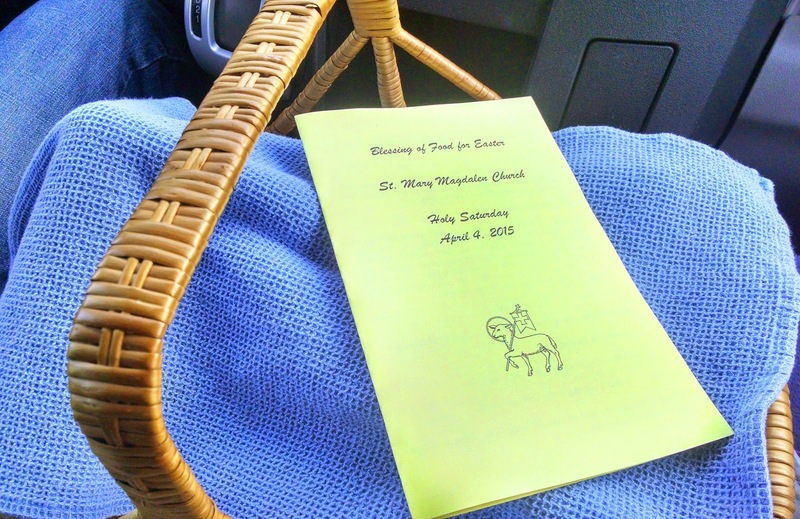 First and foremost, we go to all the liturgies of the Triduum. Are we gluttons for punishment? No. We just really love these liturgies. When we first had a baby, we kind of discussed whether or not we wanted to keep doing all the Triduum liturgies, and we decided we did. 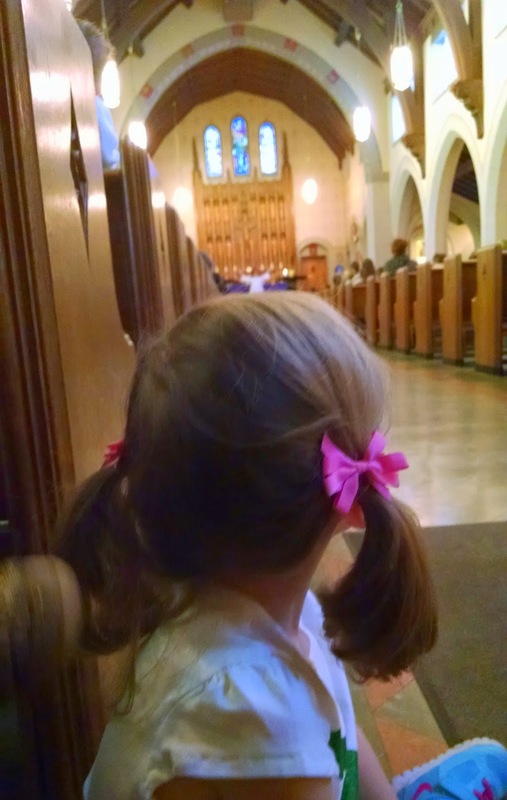 I don't think you need to go to all the Triduum liturgies, or even any of them, to raise your kiddos in the Church. But I do think that if you really, really want to try, you shouldn't be afraid of it. And I think that if you keep reasonable expectations (if they're after bedtime you might get a few meltdowns) then you won't be disappointed. For our family, it works. It's painful at times, yes, but it works. This isn't to say you need to do it. But it is to say that if you want to go to the liturgies of the Triduum with small children you can survive them! 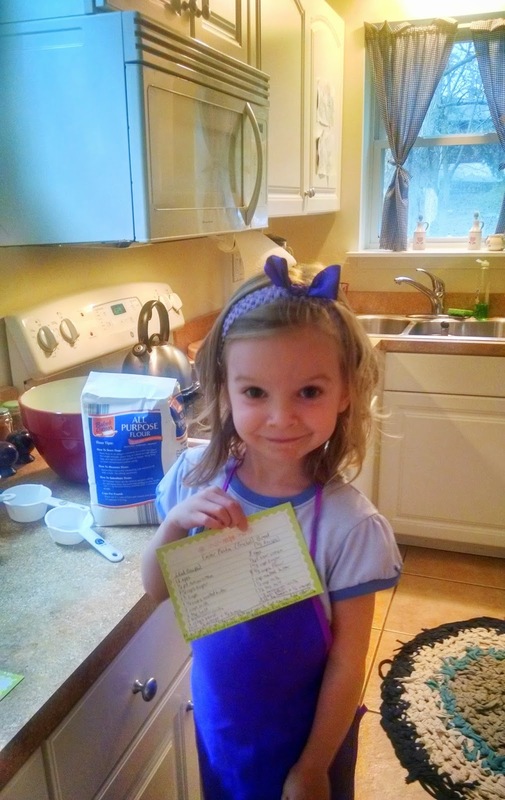 Just lower your expectations considerably and go easy on yourself and your little ones. Your little ones won't be worse for wear. Promise! 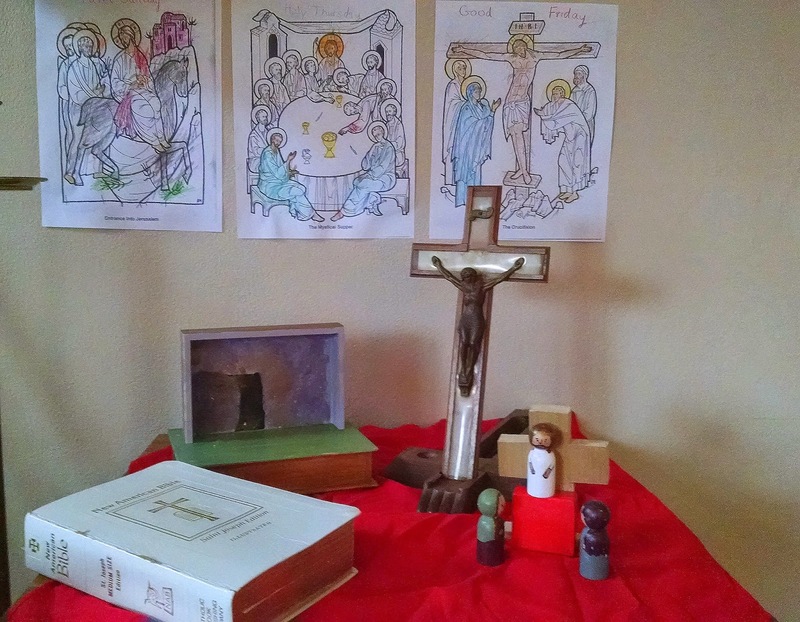 So other than going to the Triduum liturgies, we also did some simple things this year for our preschool work. I looked up some fancy activities, but in the end I just decided that I wanted to keep it simple, so I read a few stories from Scripture aloud, made copies of some coloring pages from our new-to-us coloring books and we listened to some Holy Week songs. 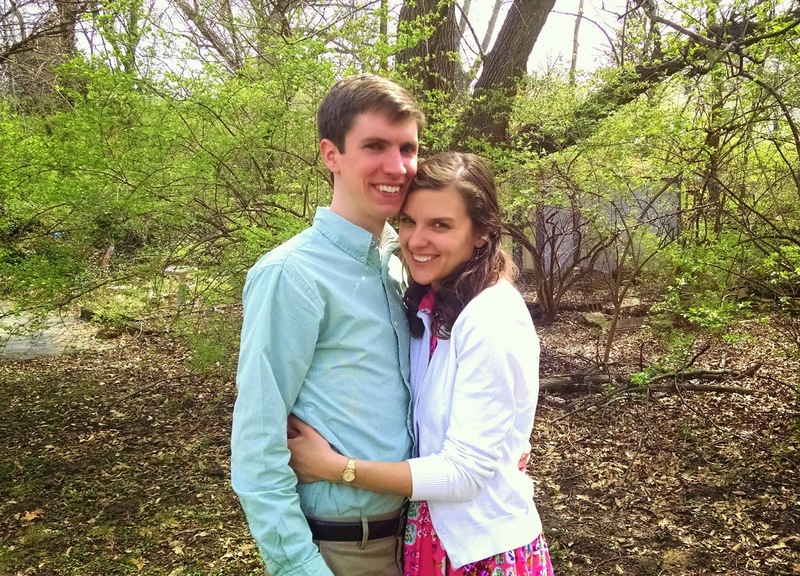 Easy, but helped prep Therese for what to expect at the liturgies. We also hiked up the street on Tuesday to go to the school Mass and live Stations of the Cross, put on by the 5th graders in our parish school. I made sure to scope out a parish that was doing the Blessing of Easter food, and we went on Holy Saturday morning to have our first meal of Easter blessed. 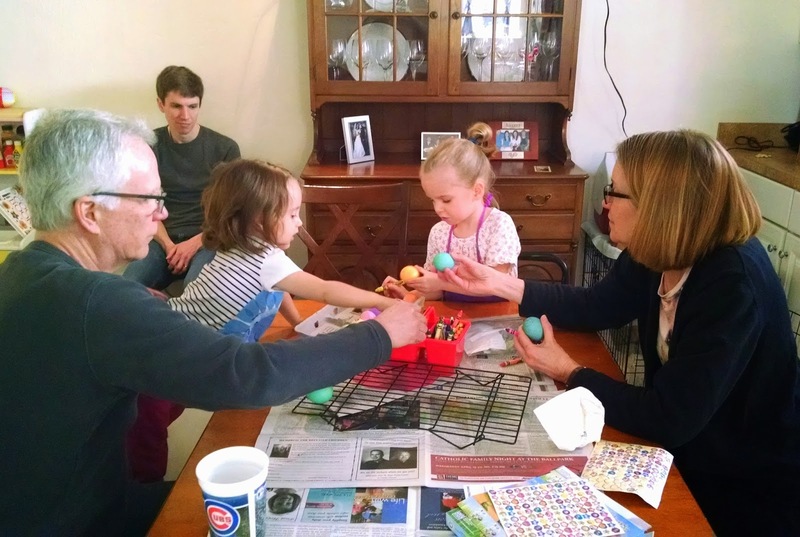 Andrew's parents also came to visit for the weekend, and they helped the girls dye the Easter eggs. 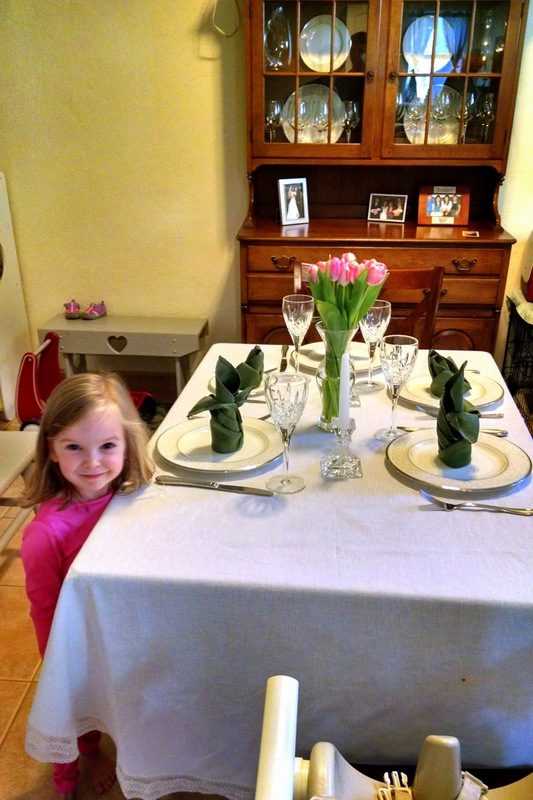 And Therese (and Andrew and his napkin folding abilities) helped me set the table for the post-Easter Vigil feast. But the focus for us this year was really the Triduum liturgies themselves. I will say this - we've taken both girls to these liturgies since they were in-utero and the 1 year old year is the absolute worst. Therese's best year by far was the year she was 2, so we'll see if Maria follows suit. That being said - for a 1 year old at church past bedtime, she did incredibly well! But even with the ups and downs and imperfection, I just tried to let God and let the Triduum be what God wanted it to be for me and our family. And do you know what? I think that's just what it was. There were some absolutely beautiful moments that were unexpected, and other difficult moments that were still filled with grace. And I am so grateful. Now do you want to see what a Triduum hangover looks like? Poor girl. Don't worry, I scooped her off and administered a nap with a side of Mommy's milk and all was well again. 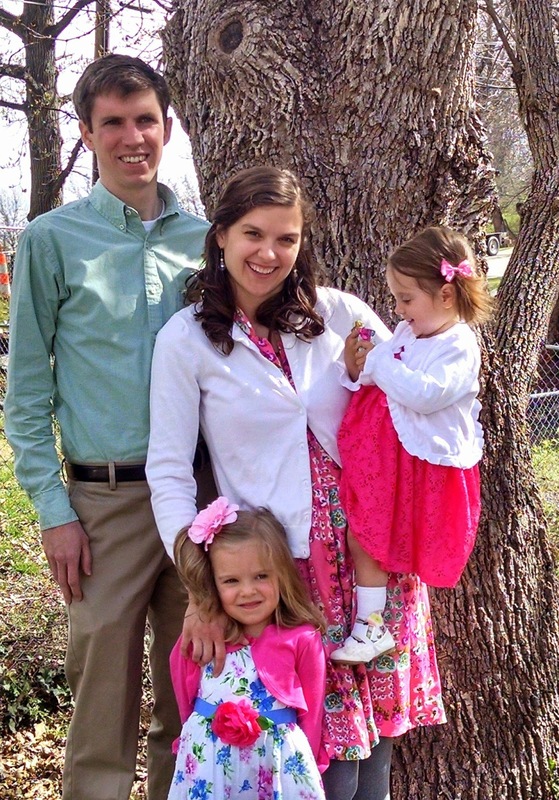 Have a blessed Easter Octave, friends! He is risen! Truly He is risen! I can totally relate. My little guy is the same age as Maria and last week was a workout! My husband and I run the Children's Stations of the Cross on Good Friday, must be similar to what you attended. He was everywhere and I couldn't even think. Thankfully, his Godmother showed up and whisked him away. 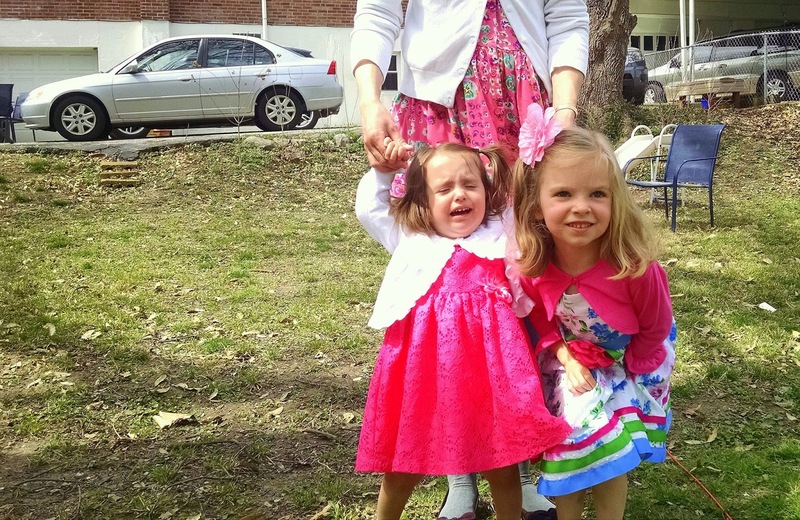 Easter Vigil went ok, all things considered, but I do hope you are right about two being better. Don't worry, Melody at Blossoming Joy seems to have had the same experience. It's just all part of the territory of living the Faith with toddlers. It was worth it though! Have a very joyous Easter season.